Family and friends may call at the Amos Carvelli Funeral Home, 201 Edison Street, Nutter Fort on Thursday, December 6, 2018 from 2:00 p.m. to 7:00 p.m. Per her request, cremation services will follow the visitation. 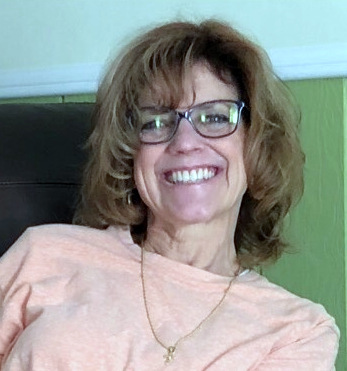 Adelina Marie “Lena” Miller Hathaway, 53, of Stonewood, WV, passed away on Monday, December 3, 2018, at the United Hospital Center. She was born in Gettysburg, PA, on June 20, 1965, a daughter of Francis and Ruby Barb Miller of Stonewood. Lena is survived by her husband, Todd Hathaway, whom she married on June 10, 1989; two sons, Jacob Hathaway of Clarksburg, and Corbin Hathaway of Stonewood; her sister, Gail Noullet and husband Scott of Hurricane, WV; her niece, Adele Gulley, and nephew, Adam Gulley. Lena was a 1983 graduate of Notre Dame High School, and went on to graduate from Fairmont State University. She was employed with the F.B.I.